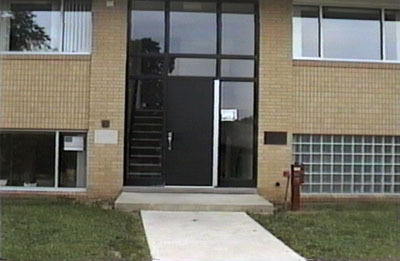 The first location of WRCR was in Nelson Hall...WRCR 1.0. WRCR came to life in the spring of 1963 in room 206 in Nelson Hall where it operated out of Eric Hansen's room for the Spring Semester of 1963. The station moved to a former typing room in Burpee Center by the Fall of 1964. These three images are all we have located of the Nelson studios. If you have images of WRCR in Nelson hall, please contact the webmaster. Corrections or additional information on the photos is also welcome. These photos were scanned from newspaper articles and show the effects of newspaper screening. Click here for the Nelson Gallery.